We authors love putting multiple points of view in our stories. It’s just so tempting! Why struggle to show what this character is thinking on the outside when you could give them a POV? Why work so hard to construct a plausible way for the hero to learn what a villain is doing when you can just give that villain a POV? Those are just the practical reasons. What if you really like a new side character? Surely the story would be better if they had their own chapter or three. Veteran readers will know that we at Mythcreants advise extreme caution when considering multiple POVs in a story. This technique is like hard mode for writers, and the consequences for getting it wrong are high. Multiple POVs can confuse a story’s plot, ruin important reveals, or just bore readers. Take a look at these six popular novels, and see how easy it is for extra points of view to damage a story. 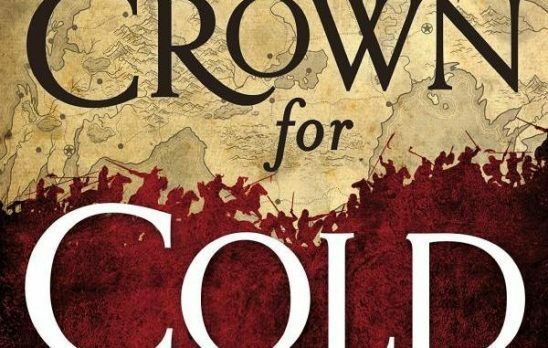 Spoilers Notice: Persepolis Rising, Jade City, A Crown for Cold Silver, Chapelwood, The Last Magician, and The Collapsing Empire. 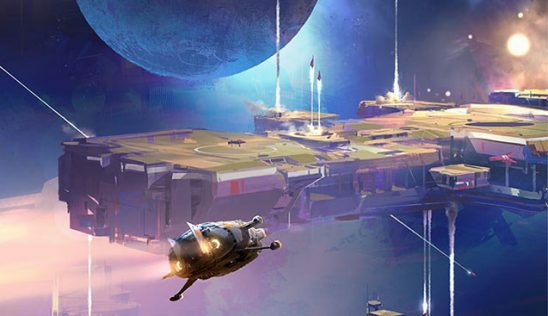 Persepolis Rising is the seventh novel of The Expanse, a series that’s no stranger to multiple POVs. Over the previous six books, the author* has given each of the main characters their own POV, and it usually works fine. Previous entries have had the occasional hiccup, but nothing too serious. That changed with this entry. Like the books that came before, each of the six main characters has their own POV, but for most of the book, they’re in the same area working on the same problems. Their chapters merge seamlessly together and add to the story by offering different perspectives on the story’s events. The problem arises with the two POVs outside the main group. The first of these problems is President Drummer, the effective leader of Sol system. She’s in charge when Laconia, a rogue colony from previous novels, unveils a new unstoppable warship and sends it rampaging through humanity’s home system. That sounds like an exciting addition to the story, but it fails for three reasons. First, Drummer’s conflict is completely divorced from what the main characters are doing. 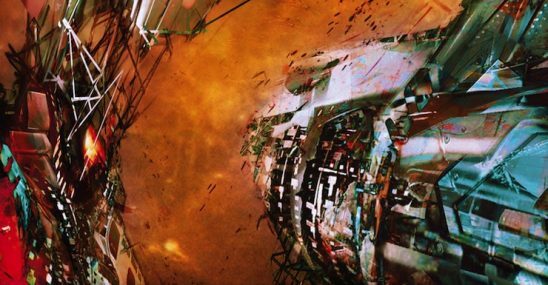 They’re all trapped on an occupied space station outside of Sol, and the outcome of her scenes has almost no impact on them. Readers have grown to know and love the main characters over six novels,* whereas Drummer is a relative newcomer. Cutting away from their struggles to focus on her unrelated chapters is aggravating. The second issue with Drummer’s chapters is that they’re boring. Despite being the leader of Sol, she has no interesting decisions to make. All of the military choices are made by her commanders. I was sure that at some point there would be a political crisis for her to deal with, but it never happens. Her chapters consist mostly of listening to status reports and worrying about how bad the Laconian threat is. Finally, her chapters are unpleasantly bleak. It’s clear to anyone with an ounce of storytelling savvy that her forces have no chance against the Laconian supership. It’s disheartening to watch Sol system throw itself against against an arbitrarily unbeatable opponent over and over again, all for the sake of a character with no agency and little prior attachment. The other problematic POV is the book’s villain, Governor Singh. It’s always risky to give the villain their own POV, and it does not pay off for this book. Instead of being threatening and competent, Singh comes across as clueless and bumbling, propped up by more skilled subordinates and advanced technology. Seriously, his job is to administer an occupied civilian station, and he’s surprised that insurgents are willing to sacrifice ten of their own number to kill one of his. Has he never read a book about literally any military occupation in Earth’s history? Singh also has a downward arc, of all things, where he becomes less competent and more evil. This kind of arc only works for characters who start off sympathetic and likable; that makes it matter when they fall. But Singh starts the story happy to have people gruesomely murdered because they fell asleep on watch. It’s possible the author was attempting to show the banality of evil, as they depict several loving interactions between Singh and his family, but if that was the goal, why make Singh less competent as the story progresses? Singh’s chapters undercut the seriousness of the situation by showing how easy the villain is to outmaneuver. If it was really critical for readers to know what the villain was doing in real time, it could have been through the eyes of a subordinate. At least that way, Singh could have kept an air of menace. Meanwhile, Drummer’s chapters could have been summed up in a news report about how easily the Laconians crushed Sol’s defenses. In fact, the main characters’ hearing bad news about the war would have been a great way to increase the urgency of their work. That’s a solid premise, but the book struggles to find a conflict worth caring about, and the problem is exacerbated by multiple POV characters. 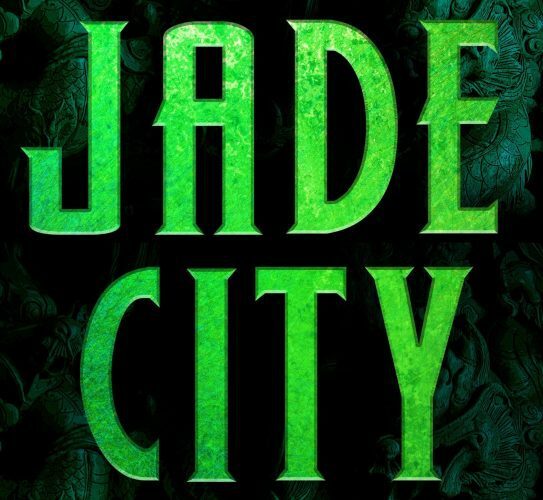 There are four that matter: Lan is the leader of the family, Hilo is his violent younger brother, Shae is the sister who left the business, and Anden is a distant cousin close to graduating from magical martial arts academy. Of these four characters, Lan starts the book with the most compelling conflict. He’s trying to maintain peace in a society where toxic masculinity demands every threat be met with violence. That would be a great conflict to base the story around, but the other characters don’t support him. Hilo’s conflict is mostly around how much he hates a rival clan and wants them all to die. Since we know nothing about this clan, but we do know Hilo is an awful person, we’re not inclined to care much. Shae is motivated by a desire to stay out of the family business, which could be compelling except no one is trying to force her into it, so there’s no conflict. Anden is even less interesting. He has vague worries about not being accepted because of his foreign heritage and an even vaguer fear that he won’t be able to handle learning magical martial arts. Right off the bat, we have one POV with a compelling conflict and three without. Any chapter that takes us away from Lan is a letdown. Weirdly, Lan’s opening problem isn’t actually connected to the main plot, which turns out to be a war against the rival clan that Hilo hates. In fact, Lan dies early in the book, and Shae gives up her desire to stay out of politics, so it’s Hilo’s motivation that carries the rest of the novel. Anden’s conflict doesn’t become important until the very end. If that sounds like a convoluted mess, it is. Hilo’s conflict is the most important to the story, but it takes way too long to get going. For many chapters, we have no reason to root for the protagonists’ clan over their rivals, so there’s no reason to care about that conflict. Meanwhile, Lan’s conflict is cut tragically short with very little resolution. Hilo’s story does eventually become compelling, as we’re finally shown that the rival clan is cruel to the people it controls, but that needed to come earlier. Instead of a deep story examining the toxic masculinity of a violent warrior culture, or a thrilling story of a magical clan war, we’re left with a story that starts with the former then jarringly pivots to the latter. This plot problem is enabled by the story’s multiple viewpoints, which slow down and confuse the beginning. The plot would have been better served to focus on Hilo from the beginning. That way, it could have given more context for why defeating the enemy clan was something worth doing. This latest entry to the epic-fantasy genre starts off with a classic mistake of the third-person limited narration style: putting us in the head of a character whose motives must remain mysterious. The entire opening is from the POV of a military officer who’s been sent to destroy a village and slaughter its population. At first, even his goal is hidden from readers, despite an extremely close narration where we know what he thinks and feels. I can only assume this was in order to have a shocking reveal when he orders the town destroyed. Even then, the reasons why he’s doing this are hidden, because it’s part of a big mystery that ties in to the main plot. This is frustrating because it feels so contrived. It’s impossible to believe that the officer never once considered what he was doing and why, so it feels like someone has put impenetrable shields around those parts of his mind. * Since it’s really important for the officer’s motives to remain secret, this scene should have been from someone else’s POV. In fact, it could have been from the main character’s POV. Her name is Zosia,* and it’s her village that’s being burned. Putting that section in her POV might have meant losing out on the reveal that this harmless-looking old woman is really a badass fighter, but that would have been a good trade. Don’t worry, this novel’s POV problems don’t end with the opening. Instead of switching over to Zosia and sticking with her, it splits into four major POVs, each of which feels like it’s part of a separate story. Naturally, Zosia sets off looking for the person who ordered her village’s destruction. Next we get an old comrade of Zosia’s, Maroto, who’s leading a group of spoiled nobles on a desert safari. After that, we’re introduced to Maroto’s nephew, Sullen, who’s looking for Maroto. The final POV is a war nun who is at least looking for Zosia, but she spends most of her time on a side adventure. These four POVs are so disparate, they feel like different stories. It took several chapters before I was even able to say for certain that they all took place in the same world. * This damages the story’s urgency, because each of the characters wants something unrelated to what the other characters want. As bad as the opening POV is, seeing Zosia’s village destroyed does build investment in her cause, but then we have to sit through other characters with unrelated, and far less compelling, motivations. The main POV characters do eventually link up and become part of the same conflict, but only so the story can introduce a fifth major POV character. * This new player is pretending to be Zosia in order to capitalize on her fearsome reputation and start a revolution. The novel is much better after this point, as the characters are finally part of the same story, but Zosia’s revenge plot is also overshadowed in favor of the new character’s revolution plot. It’s unclear how many of the characters were included for their own sakes, and how many exist primarily to give exposition about the setting and the backstory. The first half of the novel certainly feels like more of a world tour than a coherent story, needing to show every part of the setting before the plot can actually get started. Reducing the number of POV characters would have made expositing about the world’s history harder, but that would probably have helped the story, too, as there’s simply too much introduced too quickly. Chapelwood is the second book of the Borden Dispatches, and I had high hopes that it would use its multiple POV characters well. Its predecessor, Maplecroft, certainly did, employing each character’s epistolary chapter to illuminate how the stress and trauma of cosmic horror affected them. Unfortunately Chapelwood doesn’t do nearly as well. Most of the book focuses around a series of brutal murders and their connection to a dangerous cult. Two of the characters are investigating the murders, one in an official capacity, the other because she might become a target. That’s a good start, but then the book stumbles by giving the murderer his own POV. This destroys the mystery in a few short pages. Instead of learning what’s going on as the characters discover it, we’re told everything in the murderer’s own words. There’s still the mystery of the cult itself, but that’s kept in the background for most of the book. Instead of an exciting investigation with twists and reveals, we’re left waiting for the other characters to uncover evidence of what we already know. It’s possible the murderer’s POV is supposed to make him more sympathetic, but if so, it fails. He spends a lot of time justifying the killings because each victim is someone the cult wanted to sacrifice, and he believes that by getting them first, he’s preventing the end of the world. This does little to humanize him, because he’s still choosing to murder innocents instead of attacking the cult itself. * At best, it shows how thoroughly he’s lost his grip on reality. While the murderer is a problem, he’s nothing compared to the character of Lizzie Borden. The main action of Chapelwood takes place in Birmingham, Alabama. That’s where the murderer stalks his victims and the cult conducts their profane rituals. But all of Lizzie’s chapters take place in her New England fishing village, where the most exciting event involves Lizzie getting a new cat. This goes on for chapter after chapter, until finally Lizzie gets a letter persuading her to go down to Birmingham and lend a hand. Even when Borden does finally arrive in Birmingham, her only contribution is to hit a cultist or two with an axe. Lizzie’s POV is not only boring in its own right, but it also drags us away from the action of the story. You might be wondering why Lizzie Borden is even in this novel; she could be removed from the story and almost nothing would change. 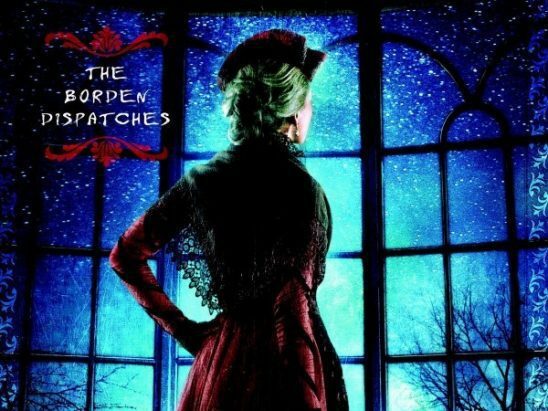 The answer seems to be that she was the protagonist of the first book, and the series is called the Borden Dispatches, so it needs to have a Borden in it somewhere. This is particularly disappointing if you were a fan of her in the first book, where she was the center of the action and emotional drama. Now it feels like she’s been included due to contractual obligations rather than any storytelling purpose. Earlier, I mentioned how in A Crown for Cold Silver, the narration didn’t share the thoughts of its opening POV character because the plot required them to stay secret. Well, if that little taste wasn’t enough for you, may I present The Last Magician, which kicks the problem up to eleven. This novel is a magical heist story set in 1902 Manhattan. 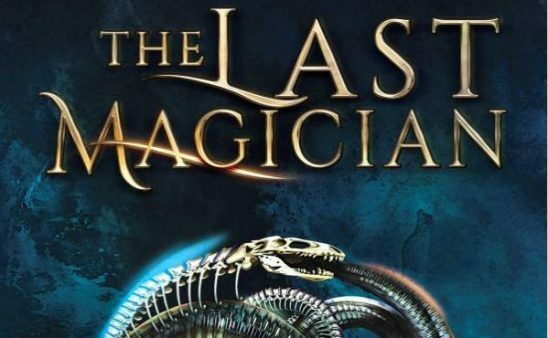 * The characters are after the most powerful book of magic ever written, but they all want it for different reasons. Everyone has a hidden agenda, and no one can be trusted. That’s a great premise for a single POV, and at first it looks like that’s what we’re going to get. Protagonist Esta is a newcomer to the crew, and she doesn’t know who to trust. The crew’s leader claims to be doing this for the benefit of all mages, but Esta suspects his powers hide a dark secret. She feels the spark of romance with another new team member, but he has a reputation for betrayal. Can she trust him? That could have all worked great, except then each of those other characters gets their own POV. If the POVs were written properly, the story would instantly lose its mystique, since the characters’ own thoughts would betray their plans. Instead, the author tries to keep them mysterious by leaving out important information. This is incredibly frustrating because it’s so obvious. In several of the leader’s chapters, characters wonder about how his powers work, and he coyly thinks variations on “if only they knew.” Similarly, when the romance interest is asked point-blank what he plans to do, he somehow demurs inside his own head. It’s not that he isn’t sure what he’ll do; he actively avoids thinking about it. It’s as if the characters know that a reader is peering into their thoughts, so they have to hide the important reveals until later. This happens over and over again, getting worse each time. POV characters hide so much information from us that it’s difficult to remember what they’re actually supposed to know. When they finally do make their big reveals, it’s too late. They’ve been so aggravating that it’s impossible to care about what’s really going on, especially since they can always pull another reveal out of thin air. Ironically, The Last Magician does contain at least one really good reveal: when a secondary character shows himself to be the story’s true villain. This reveal works because the hidden villain never has his own POV. * He surprises both readers and POV characters at the same time. Every other entry on this list has had at least four important POV characters, usually more. By contrast, The Collapsing Empire only has three,* which should be more manageable. Unfortunately, sometimes three is two too many, and that’s certainly the case here. The main character of this novel is Emperox* Cardenia, and does she ever have her work cut out for her. She comes to the throne unexpectedly after her brother and father’s death, just in time to find out about an impending disaster with the potential to destroy her empire. You see, the hyperspace routes that connect the empire’s highly specialized economies will soon collapse, making faster-than-light travel impossible. This means systems highly specialized for industrial goods will starve because they can’t import food and agricultural systems will see their life support equipment fall apart. It’ll be a bad time, to put it mildly. Not only must Emperox Cardenia run a race against time to retool her empire’s entire economy and government structure, but she must also deal with powerful factions who deny the disaster is coming or seek to use it for their own advantage. That’s a really great premise. The story can get started just as soon as we get back from reading about two characters who don’t matter at all. That’s right, the story’s other POV characters, a freighter captain named Kiva and a scientist named Marce, have almost nothing to do with Cardenia’s tale. They’re both on a planet far from the capital, and they have little sway in imperial politics. Marce is at least the son of the scientist who discovered the hyperspace collapse, but he doesn’t have any special knowledge of what’s going to happen or how to stop it. Despite their unimportance, Kiva and Marce get a huge amount of page space. According to their dialogue, their mission is to get Marce to the Emperox because… It’s actually unclear why. At one point its mentioned that Cardenia might need help understanding the collapse, but in her chapters, it’s clear the emperox understands what’s happening just fine. The book spends so long on Kiva and Marce that there’s not much time left for Cardenia to actually address the hyperspace problem. Instead, she spends her few chapters dealing with the easily thwarted machinations of a rival noble house. When Marce and Kiva finally arrive at the capital, it’s treated like an important moment, event though they bring nothing of value. I suspect the main reason Kiva and Marce feature so prominently in the story is that they are in close proximity to a minor villain who will be important in the next book. This villain spends most of the book trying various schemes to take over a seemingly insignificant planet, which is revealed at the end to be more important than anyone thought. It’s lightly populated and has everything it needs to be self-sufficient, unlike the other worlds of the empire. That’s a neat twist, but it has little to do with Kiva and Marce. They aren’t trying to stop the villain, they’re just trying to leave, and occasionally they get caught up in his plan. Even the villain’s eventual triumph doesn’t feel like much. He’s seized control of an important world, but Cardenia has the entire imperial military at her disposal. If she wants the planet back, she’ll take it. * Cardenia is simply operating at a different scale than the other characters, and none of their actions seem relevant to her. Authors have always been tempted by multiple points of view, and the wild success of a series like A Song of Ice and Fire has only made that temptation stronger. It’s easy to imagine a brilliant cast of characters, each with their own voice and style, but pulling it off is more difficult. Some stories unquestionably benefit from multiple POVs, but it behooves all authors to think hard about whether this risky tool fits their situation. Technically two authors, but they write under a single pen name. Three for Clarissa, but you get the idea. Also inspired by East Asia instead of Western Europe. Now that I say it, magical mind blocks would be an interesting explanation. In epic fantasy, that’s never a given. Technically reintroduce since she had a brief prologue. The cultists are just as vulnerable to physical damage as anyone else. With occasional time jumps to the present day. Or if he did, it was so short I’ve forgotten it. Plus a couple of secondary characters who get a chapter or so each. Supposedly there’s a hyperspace choke point that makes assaulting the planet difficult, but it’s not clear why. Talking about multiple povs, there is this novel I read that seemed to be a mess, yet I really enjoyed it. I read all 3 of the Three Body Problem, last year’s Hugo award winner. No one person was the main character (multiple POVs strewn throughout the trilogy). The author did not spend much time on character development or writing style. But the plot and ideas introduced kept me glued and somehow it was one of the best books I’ve ever read. Thanks for this–helpful checklists for seeing if all my POV characters are needed. I love reading multiple POV books, disparate storylines that come together around a main plot, and when I began writing it never occurred to me how fraught with pitfalls this approach may be. You’ve given me reason to re-examine one of the POV characters–other POVs suspect his motives, so should the reader, then. Omniscient narrator is gonna have to deliver those few scenes with no other POV present. Apart from that, gonna forge on against all advice..! Just to be clear, this isn’t saying multiple POVs shouldn’t be used, just that it’s a difficult tool to handle and not appropriate nearly as often as writers want it to be. I was reading a book a while back (I can’t remember the title) and I quickly figured out who the secret badguy was because the writer gave every main character some POV time EXCEPT the badguy. The book was a bestseller too. I think that’s a pretty rookie move for a writer. I’m surprised not to see Game of Thrones here. Anyone who things multiple POVs are the king should skip reading the first few books and go straight to the snoozefest of the last two. Doesn’t help that I think Jon Snow is the Stuest Stu that ever Stued, and Dany’s chapters are nothing but waffling around a problem that is totally contrived. It’s like Martin dediced that she must care for the stupid city and we’re stuck there for pages and pages. Disagreed on Persepolis rising, at least for the Drummer chapters. It was nice to have the front row seat on things back home. Sure, it could have also been Avasarala, but makes more sense to show the new order in Sol system through new eyes. Then again I am partial to bleak stories. Singh, I found interesting in cringeworthy way, in how badly he handled the situation, and it may yet become relevant in the next book – that Laconian empire’s downfall will be pride and belief in their own invincibility. I think your read on Singh in Persepolis Rising is wrong. His downward arc towards ever more violent means to achieve his goals is basically on track with reality. Look at the U.S. military. It has fought guerrilla wars at least three times in the last hundred years (and is still embroiled in two of them). Have is embraced counter-insurgency tactics beyond shooting people? Nope! Singh’s reasoning (They’re animals, so I’ll treat them like animals) is basically in line with the thinking of Westmoreland in Vietnam. The only surprising thing is that he get’s punished for it. I don’t think this is put in a good or respectful way. Then you call writing multiple POVs “hard mode” which is sorta a contradiction. But you have brought some very good points, and I agree with almost all. The only point I didn’t like because you either didn’t explain it in detail or maybe you overlooked this in the case is of multiple POV. It’s where you said the Z story gets overshadowed by the new characters. Why? How? I for one know for myself (as someone who loves multiple POV stories) that I love them for the fact that they have multiple POVs and can tell different stories/views in the same world. So there isn’t suppose to be one story that overshadows the other, especially if you also liked Z story. You now have 2 POVs that you like. Whats the problem there? I think the problem with multiple POV is your characters need to have reason, also they can’t be predictable and cliche. I won’t read something with predictable stories even if it is multiple POV. World building and size and twist are always welcomed. From my personal experience, the problem with writing multiple viewpoints isn’t so much a problem for the writer, but later on for the reader. Because the more viewpoints the writer juggles and the more often they change, the harder it gets for the reader to know who is their current viewpoint character. If the writer is good, that will not be a problem, but that is why it was referred to as “hard mode” here. Yes, you can write novels with multiple POV. But you have to be really good at it and know what you’re doing. The overshadowing can be a problem when a side character’s story arc is more interesting than that of the main lead, so people follow that one and just ‘sit through’ what is supposed to be the main story. That can happen and is unsatisfactory for both the audience (who would have liked for the main plot to revolve around viewpoint character Z) and the writer (who invested a lot of time and work into the main plot, only to find readers ask more about the side story). As a good example for using multiple viewpoints, I would list the “Johannes Cabal” series I started reading a few days ago (and I’m just diving into the third book – the first two were great). While Johannes is the viewpoint character most of the time, the story also includes scenes from his brother Horst’s viewpoint in the first book (vampires and sunlight don’t match, so he’s not in the second one) and from several other characters in both books I’ve read so far. There’s never a question if Johannes is the main character and if the plot rightfully revolves around him. There’s also no question as to whose head the reader occupies at any given time. The other characters provide additional information (such as situations in which Johannes is not present) and allow to mask some of Johannes’ deeds (especially in the second book) by drawing attention away from what he’s doing. Johannes also makes a good example for an unlikeable character and an anti-hero done well – he is, when all’s said and done, a necromancer who has killed more than once and has to look up the word ‘scruples’ in the dictionary. Sounds neat, I’ll add it to my reading list, which is too long already admittedly but that’s the way of spec fic fans. It definitely falls into the spec fic department. While I’m not sure how the time is compared to ours (and there’s countries on the map which do not exist in our reality), there is a certain steampunk quality to it (although the airship in the second novel is kept afloat and on course by magical means). I started the first book, because I loved the premise of a man making a wager with satan to get his soul back – but for scientific reasons to double-check his results. I stayed for Johannes’ black sense of humour and the interesting situations he gets thrown into (like sitting in a condemned cell at the beginning of the second book, waiting for execution).